• Make a detour off the byway at Forest Road 205. 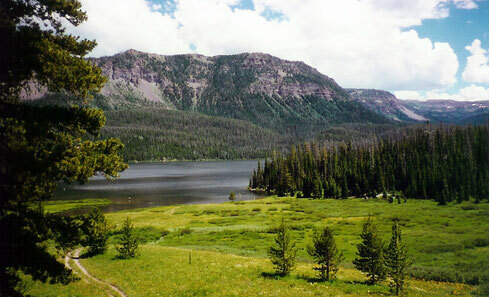 Eight miles later, you’ll arrive at the wondrous Trappers Lake (siehe Foto), the birthplace of the wilderness movement. In 1919, a man named Arthur Carhart was surveying a site for a cabin resort development. Inspired by the lake’s placid beauty, Carhart decided to fight for the area’s preservation instead. His idea caught on, and the modern movement to preserve land as wilderness was born. Suggested time: 5 hours with side trips"
Hört sich doch prächtig an. After exploring a handful of the articles on your web page, I really like your way of writing a blog. I added it to my bookmark website list and will be checking back soon. Please visit my website too and let me know your opinion.